Time sure flies by! It's hard for me to believe the Attic Baby is turning 2 very soon. Her grandparents came down to visit for the weekend to celebrate a little early with us so we could go to the National Aquarium in Baltimore for Dollar Days. Dollar days is an annual tradition in December where admission is only $1 at many Inner Harbor attractions! It's a busy weekend as far as crowds go, but is definitely worth the trip when normal aquarium admission is $29.95 for adults. All 5 of us were able to get in for $4 (little miss was free). 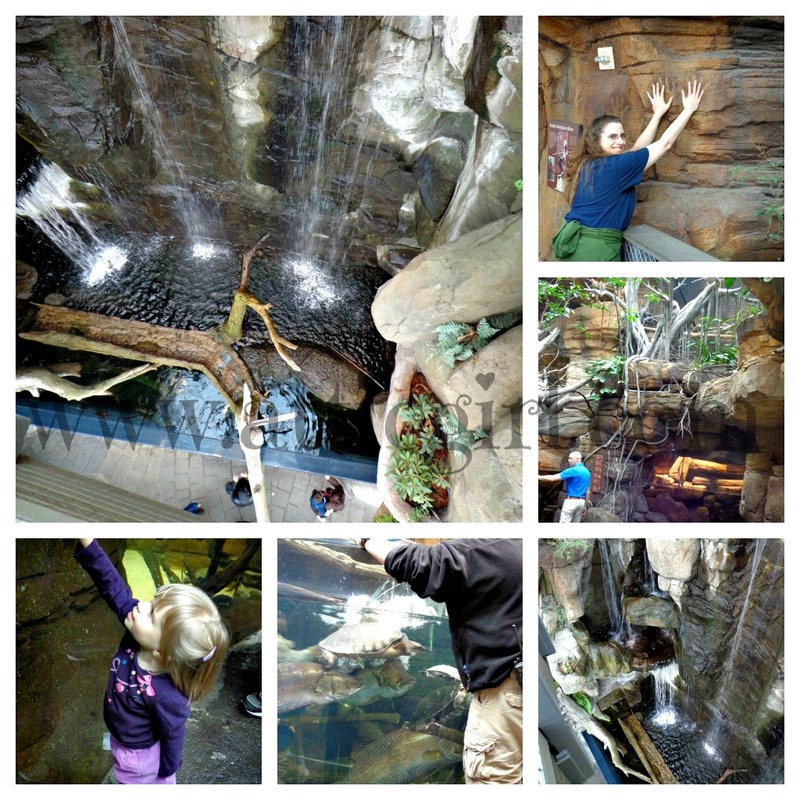 Plus we were able to save $4 on parking by going to the Lockwood Place garage and having our ticket validated at the aquarium. 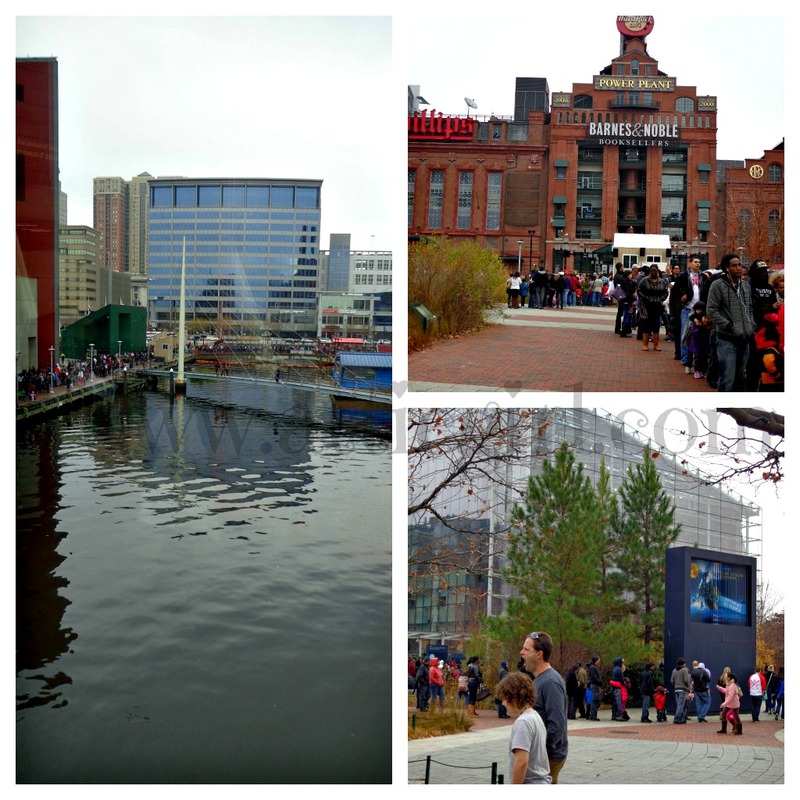 We got up fairly early and arrived in Baltimore about 8:30 AM to get in line. (The line fills up fast and weaves around the front and back of the building) Originally, the aquarium was supposed to open at 10 AM, but we were pleasantly surprised that they opened at 9AM. We were able to get a spot toward the front of the line and only had to wait for about 45 minutes. That is not bad at all considering we were expecting at least an hour and a half wait. It was a little chilly and damp, but compared to past years the weather was not bad at all. Strollers are not allowed inside the aquarium, so little miss walked quite a bit or was carried by her daddy. 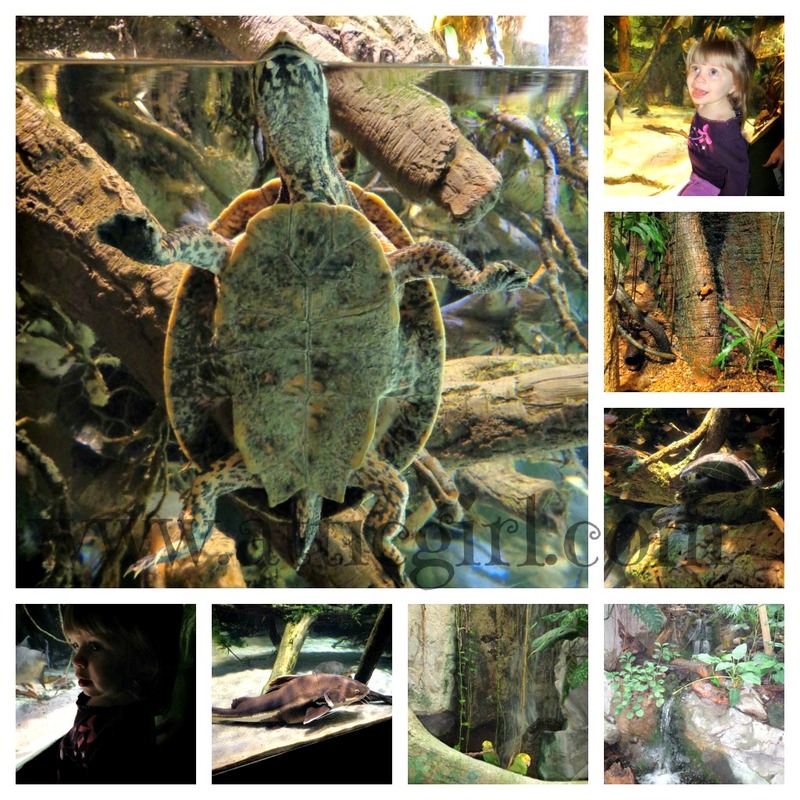 We went through the Maryland and Atlantic exhibits to our favorite big tanks in Shark Alley. The Attic Baby was afraid of the big fish at first, but she warmed up as we went along. She especially liked the turtles! The rainforest was pretty warm and it was difficult for her to spot the birds up high since she's so little. The poison dart frogs were pretty neat to watch though. 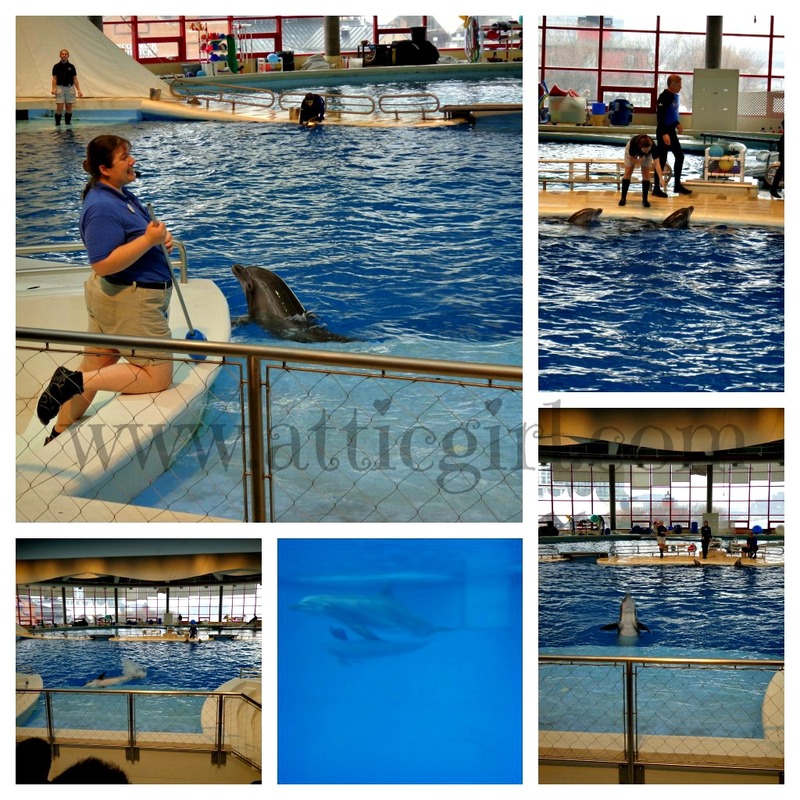 Although there isn't a formal dolphin show, we went to the Dolphin Discovery and saw the dolphins interact with trainers. The dolphins were very playful and she liked seeing them splash! It was also fun to go down to the viewing area and see them under the water. We figured we'd beat the lunch crowds and eat early. On Dollar Days, you can get slices of pizza at $1 a slice, small french fries for $1, and small drinks for $1. We fed most of us for around $11 which was a great deal! After lunch, it was time for the Jellyfish Invasion. These are really fascinating critters! Baby girl loved watching them move through the water. 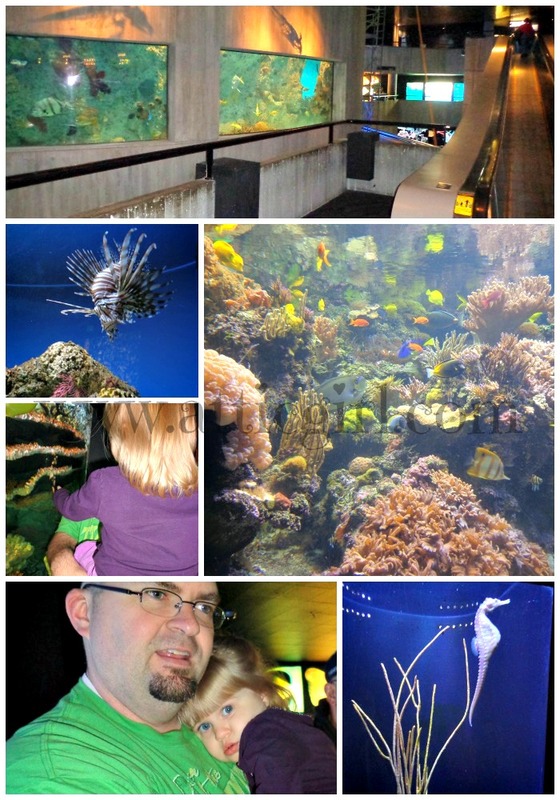 The National Aquarium in Baltimore was a wonderful way to celebrate a 2nd birthday! There is a great variety of animals to see and the savings on Dollar Days can't be beat. This is one of my favorite traditions in our family during the holidays and I'm excited that now the Attic baby can enjoy it with us! 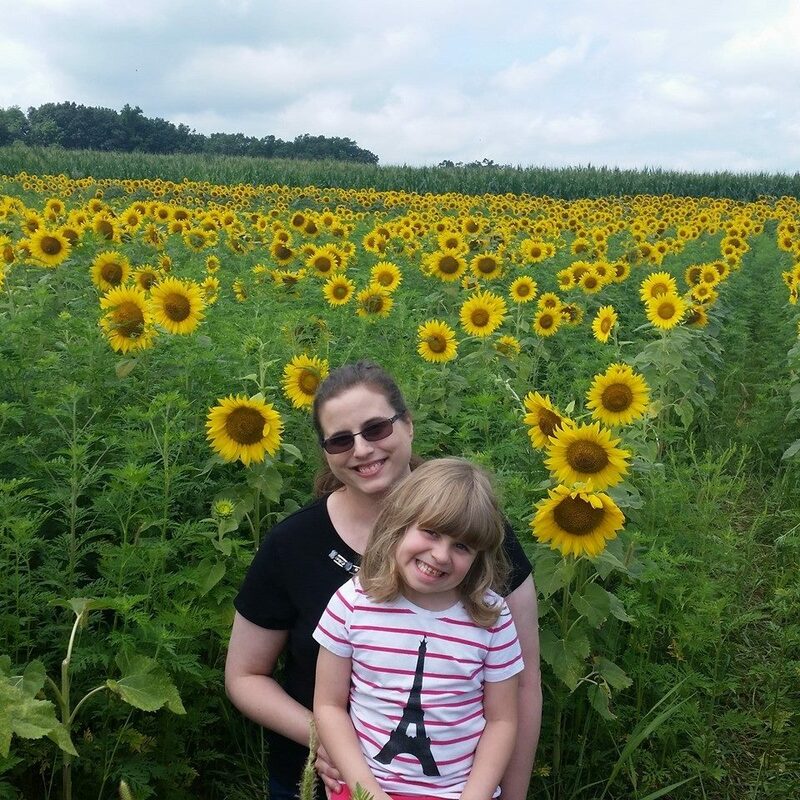 Disclosure: This is not a paid post; I love sharing great deals on area attractions with my readers. 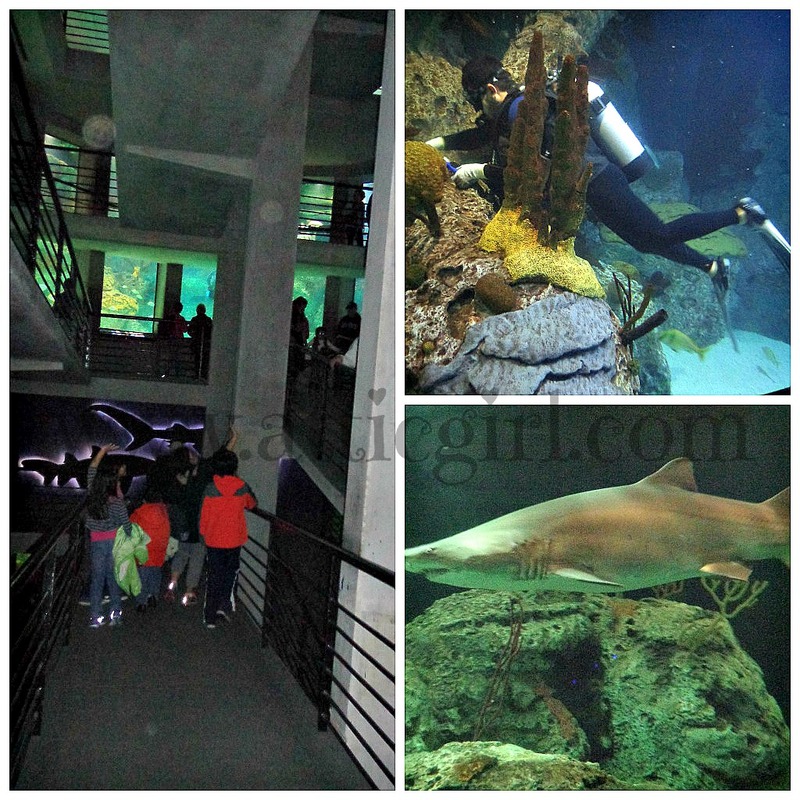 17 comments on "Baltimore National Aquarium #DollarDays"
That looks like a ton of fun. And I love that it was only $1 each, finally, a family trip that is affordable! I love this aquarium! We stopped by here when we lived 30 minutes from Baltimore about a year ago. Thanks for sharing! Oh my goodness, that looks like so much fun! Would love to take a trip to Baltimore! I can't wait to take our little one to the aquarium. She will love it! Great pictures! Wish I lived closer so I could take my kiddos! I wish I lived in Baltimore - that aquarium looked so fun! Wow! That place is amazing!! I would totally take advantage of Dollar days if we lived closer. That is an amazing deal! I want to go to an aquarium like that some day. What a great deal! I love the inner harbor! That looks like SO much fun and what a great way to save! It's no wonder there is always a line, I would take advantage of that too! This looks awesome. My friend lives in Baltimore so I will definitely be sending her there especially for dollar days! Shelly what amazing pictures you have!! Wow..nice and what fun too..we love the local aquarium..although I don't ever remember them having a $1 day before..FUN!! wow what a great deal! 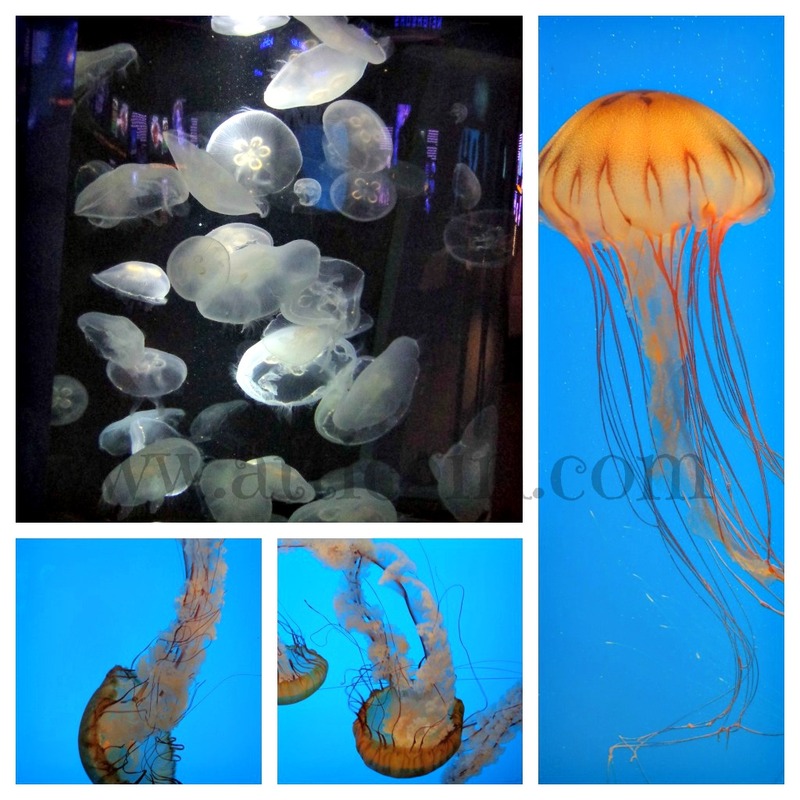 I wish we had an aquarium near us, we visted the one in NJ last summer and it was my favourite place we went to! I loved it! What great pictures. It looks like you all had a wonderful time. These photos are amazing. I wish I was closer, but I'll give a heads up to friends who are! That is an awesome deal! I never knew that! Do they still have the rainforest upstairs?